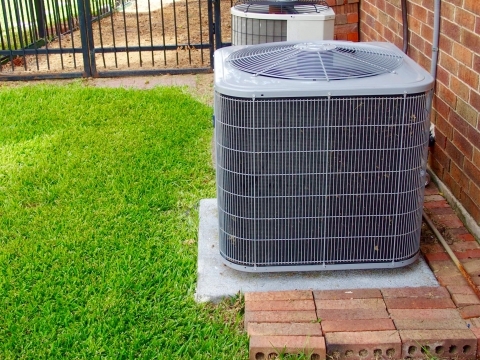 You don’t have to live with a smelly air conditioner! If your air conditioner smells like rotten eggs, a dead animal may be to blame. An injured or sick rodent may have crawled into your ducts and died. In order to eliminate this odor, you need to have a professional clean out your air ducts. Although a skunk could have crawled in your air ducts and died, it’s not probable. Gas smells a lot like skunk spray, and if your air conditioner smells skunky, there could be gas leaking into your ductwork from somewhere in your home. If you smell gas, get out of your house as soon as you can and call your gas company to fix the issue. If you smell sewage coming from your vents, there could be a ruptured sewer vent pipe or a sewer backup near your duct system. Sewage leaks lead to methane gas, which can be dangerous, so if you smell sewage coming from your pipes, get a professional to take a look right away. If there is an odor coming from your air conditioner, contact Premier Heating and Air today!